Superman, Batman, Captain Kirk, the Incredibles, we all have heroes. We love great heroes. We need great heroes. I find that real people who face impossible odds, pay a great price, and triumph for a cause bigger than themselves are even more inspiring than the fictitious animated characters who hung around the Hall of Justice waiting for a bad guys to show his face. That is what this book is about. You will be introduced to real heroes who dreamed big, prayed bigger, and accomplished great feats of courage. These heroes who spent their lives being spent for the sake of Jesus. They paved the way for you. If you’ve ever consider reaching your campus to reach the world (and you should if your in college ministry), then you cannot pass up this book. If you are a college student, add this to your “must read” list. Learn about students just like you that had such tremendous passion, commitment, and sacrifice for the cause of Christ. Learn about the greatest missions movement in the history of the church; what truths guided it, how they did it, and the issues they faced. 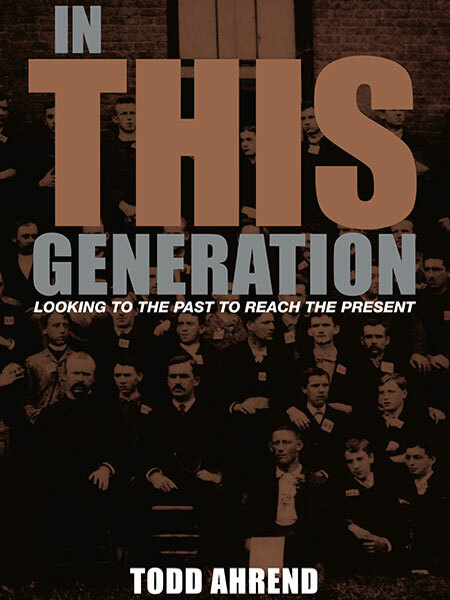 The book ends with how you can be a part of fulfilling the Great Commission in YOUR generation. Our generation is responsible for 1/2 the people who have ever lived on planet earth right now. What are we going to do to get the gospel to where it is needed the most? This will inspire you, provoke you, and challenge to do something hard for God, and give all of your life to see His kingdom extend to every tongue, tribe, and nation.